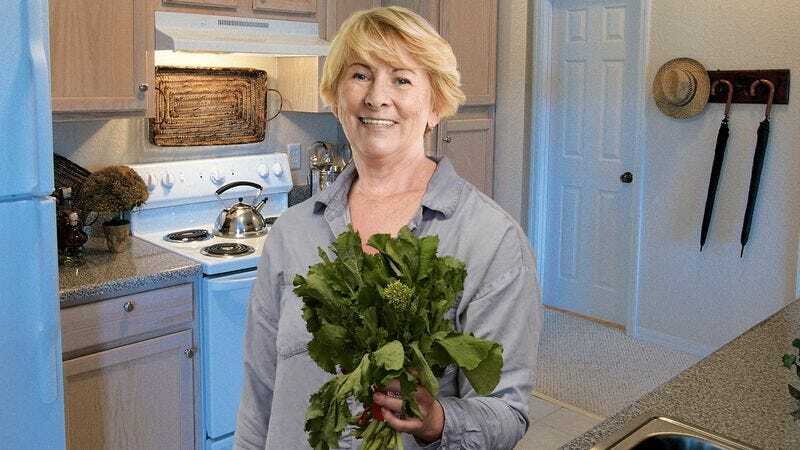 MERRILVILLE, IN—Excitedly sharing the news with her husband and two teenage children, local mother Karen Tyson, 49, learned about a new vegetable Wednesday, sources confirmed. “It’s called broccoli rabe,” said Tyson, who quickly clarified to her family that the produce was not broccoli, but was kind of like it. “Carol from book club told me about it and sent me a recipe to cook it in a skillet. She said you can even put it in pasta, too. I think I want to cook it next week.” An upbeat Tyson went on to tell her quiet, unresponsive family members that while she hadn’t tried it yet, she thinks they will all like it.